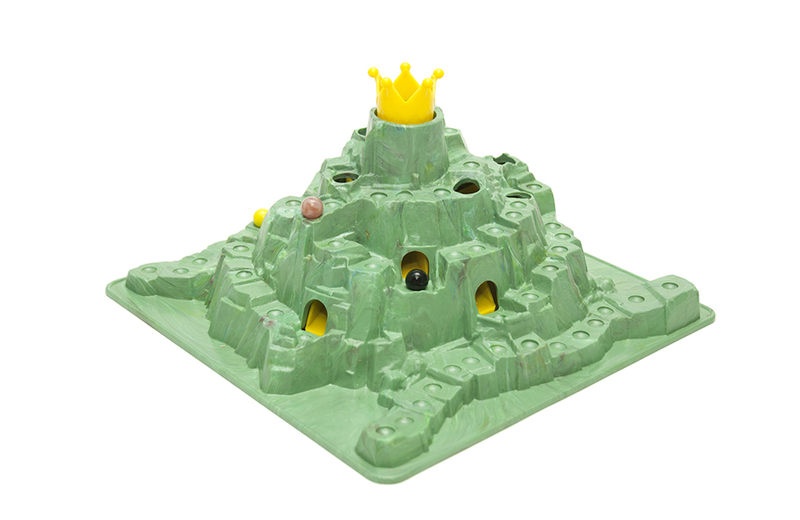 Before the animated TV series featuring Hank Hill & company hit the airwaves, “King of the Hill” was the name of a board game filled with “hazards, pitfalls, obstacles, and traps galore.” Released by Schaper in 1963, King of the Hill’s playing surface consists of a large 3-D plastic mountain with a yellow crown embedded at the summit. Two to four players each select a different coloured marble to represent them as they climb the mountain. Instead of using a traditional spinner or die roll to control movement, players use a “tilt-score” that indicates the number of moves up the mountain that can be made in one turn. Players may choose their own routes up the mountain — as long as they stay on the path. 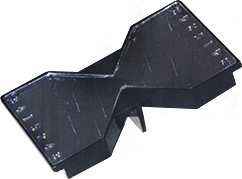 Holes (traps) in the path serve as deterrents to uphill progress. If a marble lands on a hole, the player must drop his or her marble into it, where it rolls around inside the mountain and exists from one of the caves lower down on the board. The journey back up the mountain continues from that exit point. The first player whose marble reaches the top and falls into the trap that causes the crown to pop up is declared “King of the Hill” and wins the game. King of the Hill disappeared from store shelves in the early 1970s. The game enjoyed a brief renaissance in 2006 when an updated version (with completely different rules and look) was released by Winning Moving Games.